We love the fresh and colorful designs of the Nokia Lumia smartphones and certainly nobody can accuse them of looking the same as other popular handsets. If you’re a fan of the Nokia Lumia 920, and there are plenty of you, then you may be pleased to hear that a Mint Green edition looks as though it’s on its way. The Lumia 920 is already available in black, white, gray, yellow or red color options and a mint green variant would be a quite timely arrival now that spring is here. If you’re thinking it sounds a bit garish then it’s actually not that bad and although we hadn’t imagined liking it we think it actually looks quite fresh and appealing. Not only will users be using a Windows Phone handset to mark them a little different than the rest of the crowd but the Lumia 920 in green will have people asking for a closer look of your phone. 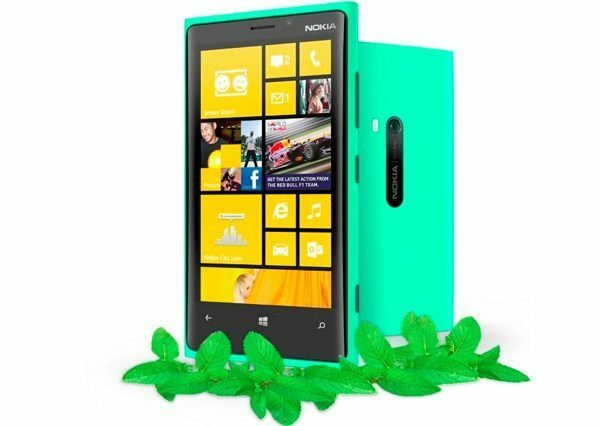 The green version of the Nokia Lumia 920 was posted on Nokia’s Jordan Facebook page and image shows a green Lumia 920 with some mint leaves scattered around the bottom, hence the clever deduction that it’s probably going to be dubbed Mint Green. There’s no news yet on when this Lumia 920 in green will reach the shelves but we imagine there could well be a few people who wouldn’t mind getting their hands on this fresh new addition to the lineup. We’d like to hear your thoughts on the Mint Green Lumia 920. Would you consider purchasing this color option if it became available in your region?